The White Collar Defense & Government Investigations Group advises businesses and individuals on a wide range of matters involving governmental authorities. Our attorneys, who include a former prosecutor from the United States Attorney’s Office for the District of Connecticut, bring a breadth of practical experience and credibility to the interaction with federal and state officials. 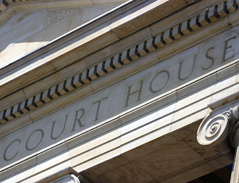 We represent clients in connection with regulatory, civil and criminal investigations and prosecutions, by both federal and state authorities. We vigorously represent our clients in all phases of an investigation, including subpoena compliance and grand jury inquiries, always striving to avoid formal charges. If charges are brought, we vigorously defend our client in pre-trial litigation and negotiation, and ultimately trial if necessary. When a government investigation, internal compliance efforts or whistleblowers raise the possibility of wrongdoing by a client, or an employee of a client, attorneys in this Group also assist in structuring and conducting internal investigations, and counsel our clients in regard to a wide range of compliance and regulatory options and issues. Our goal is to minimize governmental scrutiny of our clients, and deal with any investigation in an effective, efficient and discreet manner. We provide these services, in conjunction with the expertise of many other Reid and Riege business practices, in such areas as health care, securities fraud, financial fraud, public corruption, environmental compliance, antitrust and tax.